June 18th - 15.30 O`clock : "Let go fore and aft" - Pier Nr. 27 - Volkswerft Stralsund. 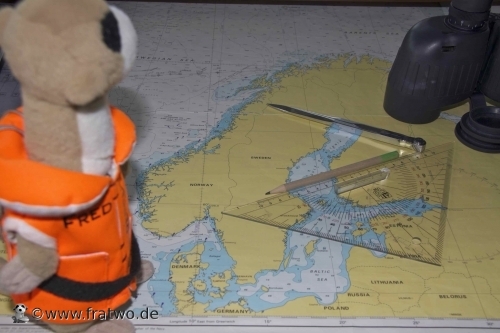 Fred is very exited, because now he is on his way to Norway to Bodoe which is part of Norwegian Lofoten islands. According to Capt. Maggi HANSE EXPLORER will arrive there in 5 days. 5 days of rest and peace. Fred is really looking forward to this nice journey. 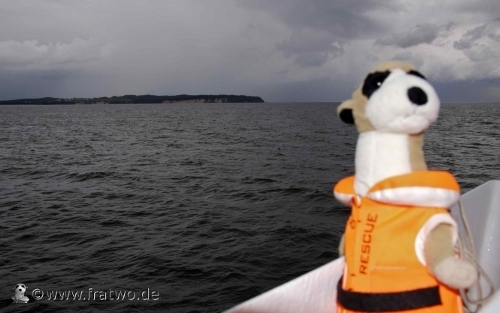 Fred admires the beautiful scenery of Island Rügen with the famous white cliffs.